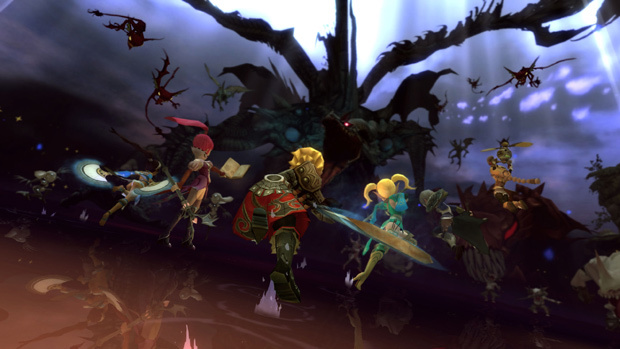 Publisher Shanda Games International Europe updates the free to play action MMORPG Dragon Nest Europe with the brand-new Assassin class. The Assassin utilizes daggers, arm blades, chains and summons to attack his enemies from the shadows and send them to the after-life. The Assassin can choose between two specializations when he reaches level 15 (Chaser or Bringer), which also offer another two sub-specializations each (Ripper/Raven or Light Fury/Abyss Walker) once Assassin players reach level 45. While the Chaser tree focuses more on hand-to-hand combat, the Bringer tree focuses on buffing and supporting group members with chakra energy. The Assassin is a highly versatile melee fighter whose style is distinguished by a fast-paced combo mixture of Asian martial arts and spirit summons. While he can easily hide himself from enemies using smoke and shadows and retreat to a more passive survival, he is equally swift in striking down opponents with deadly blade, chain and martial arts combos. However, he does not purely rely on quick attack and retreat techniques but also offers valuable healing spells as well as defense and attack buffs for his group members by activating his chakra energy. More information about Dragon Nest Europe can be found on the official website www.dragonnest.eu and on the official Facebook page www.facebook.com/DragonNestEu.